The second International Conference on Nutrition has ended today. Director-General of the Food and Agriculture Organization of the United Nations, José Graziano da Silva said “we can make malnutrition a part of history. And because we can, we must.” Trax Ghana is very committed to doing just that. 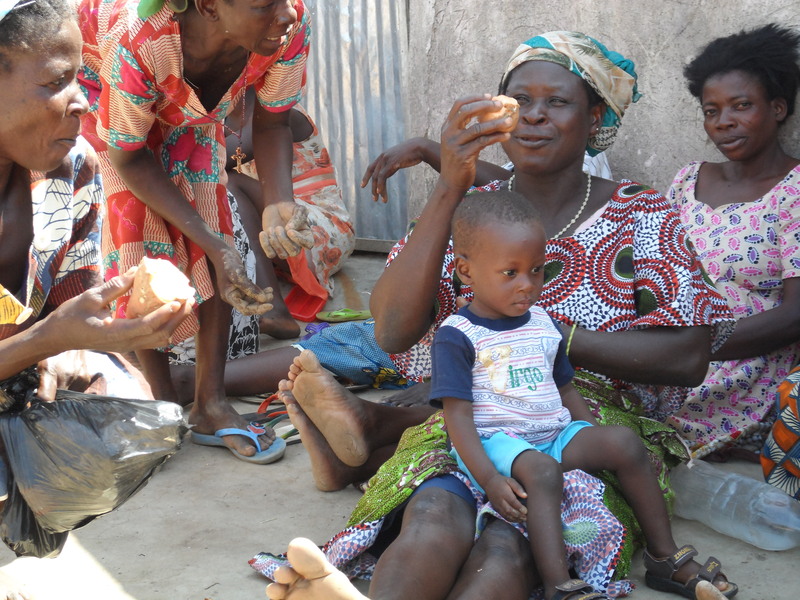 Trax invests in Orange Fleshed Sweet Potatoes to end malnutrition. Ghana is a lower middle income country yet some of its micronutrient deficiencies are some of the worst globally. The FAO’s State of Food and Agriculture of 2013, which was dedicated to food systems for better nutrition, stated that there are only two countries in the world that have more severe Vitamin A deficiencies than Ghana. These are Sao Tome and Principe (95.6%) and Kenya (84.4%). In Ghana 75.8 percent of the population lacks vitamin A. This is close to double Africa’s average of 41.9%. Anaemia and iodine deficiency rates are equally abysmal with 76.1% and 71.3%. Humans need vitamin A for a whole range of bodily functions. It plays an important role in good eyesight, growth of body cells, production of red blood cells, immunity and the reproductive system. Vitamin A deficiencies are the leading cause of blindness in children and contributes significantly to mortality in children under 5. Children who are deficient in vitamin A are more likely to die from things such as diarrhea and measles than children who are not deficient. Vitamin A is found in fruits, vegetables, pulses, green-leafy plants and fish oil. The Ghanaian state strives to combat deficiencies by distributing vitamin A supplementation to young children and mothers. Trax Ghana, however, believes that a food-based approach is more sustainable. It has therefore partnered with the International Potato Center (CIP) who bred a sweet potato that is higher in beta-carotene (which is an inactive form of vitamin A) than the local sweet potatoes. In the Pilot program, Trax focused mainly on the cultivation. Results were great as the potatoes are drought-resistant and high-yielding. In the years to come, Trax will also direct much of its attention to value chain development: teaching women how to process the potatoes into pastries, juice, yoghurt and other products as well as how to incorporate them in their dishes.